We had a gift of money sent to the school a while back and decided that this sum should be spent on something that we can’t and don’t normally spend money on. As it was a unique gift, we thought we needed something permanent and long lasting. Our dragon bench on the school field was a similar project. Also we wanted all of the children to have a part in the process. 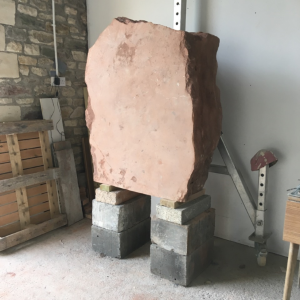 I expect your children may have mentioned about a sculptor, Iain Cotton, working with them a couple of weeks ago. 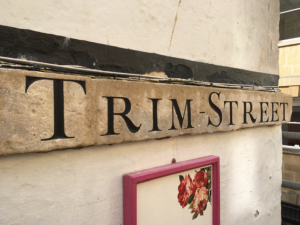 His work with the children was in preparation for a stone carving to be installed on site. He will use the designs from the children to carve the words. This we hope will sum up what the school is about in the past and present and be a future guide to the next generations of our school community. 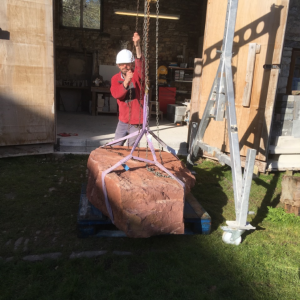 The stone is being installed over Easter and when we return the sculptor will be working on site for a few days finishing off and allowing the children to see what a stone mason does. A dedication blessing will take place on Tuesday 10th April at 10.00am to which you are all invited. It will last about half an hour and hopefully finish outside by the stone.